This is the e-architect archive page for Architecture News May 2008. A fusion of landscape and architecture, the landscape of grass mounds and reflecting pools aligns with a geometry of curved roof sections in a new building that houses permanent and temporary exhibition galleries, a 150-seat auditorium, music rehearsal rooms, a restaurant, a media library, and administrative offices all on one level. 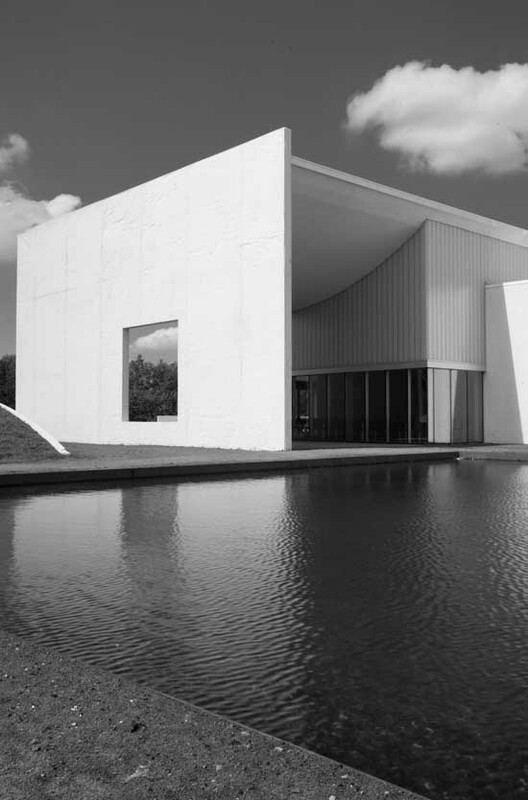 Herning’s longstanding relationship with textiles and the textile industry, as well as the museum’s large collection of original works by Piero Manzoni (46 works in total) forms the inspiration for the building’s design concept. The Bodo Kulturhus and Library will consist of two public buildings: a new city library (5,500 sqm) and a three-auditorium concert hall (7,350 sqm), creating a new cultural centre for the Norwegian coastal city.